If you’re looking for fun outdoor activities near Breckenridge, Dakota Chrysler Center has you covered. See what our team of locals had to say when we asked them about the best hiking and fishing in Fargo ND and the surrounding areas. And if you’re looking for a fun outdoor vehicle in Wahpeton, then get auto financing on a new truck or SUV at our dealership today! 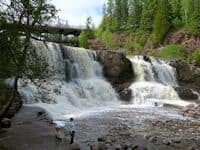 If you’re interested in going for a hike but don’t want to drive too far out of town, Fargo and the surrounding areas have some great options for you. 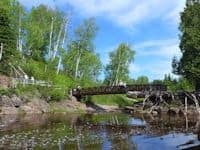 Gooseberry Park Trail – According to most people in the Fargo-Moorhead area, this is the best hike around. At 3.5 miles, it offers plenty of scenery and beauty without forcing you to drive out of town. Enjoy wooded areas, open prairie, and even some turkeys, owls, and other big birds come winter. M.B. Johnson Trail – Located in Moorhead, the M.B. Johnson Trail runs a little under 4 miles, and its easy terrain make it a great choice for families with small children or those trying to ease back into physical activities. Many people in Fargo and the surrounding areas have made fishing a major part of their life, and there are plenty of great spots in the area where you can drop a line. Here are a couple of our favorites. Swan Lake – Take the hour long trek down I-29 South to Swan Lake in Lidgerwood for some of the best fishing in the area, where you’ll find many different varieties of fish, including a big supply of pike. Red River – Check out the Downtown Dam or the North Dam in the heart of Fargo and you’re sure to find a variety of fish, including walleye in the spring and fall as well as catfish and more throughout the summer. 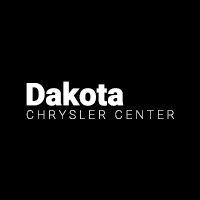 Dakota Chrysler Center is Your Guide to West Fargo and the Surrounding Areas! The team at Dakota Chrysler Center near Fargo is here to help you enjoy everything that our region has to offer. We also have one of the biggest inventories of new cars for sale at 7950 179th Avenue SE in Wahpeton, ND. And if you have questions, feel free to contact us at (888) 358-8048!